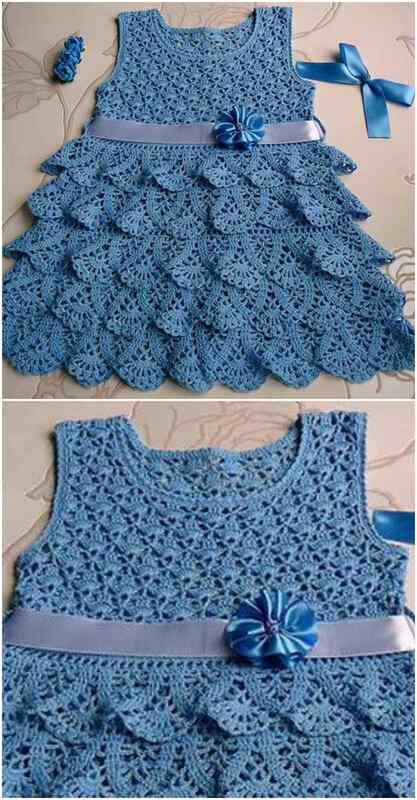 I was searching for a free pattern of crocheted dress or blouse, which I want to crochet for my sister and suddenly I have found this amazing baby dress, which in my opoinion will be perfect to crochet for your girls at this season. It is done in my favorite colors and stitches used in the working process are very beatiful too. Here is a only scheme of how to make this beauty, but if you can read this scjeme their will be nothing hard for you to do. I will begin it as soon as I will have time on it too. I hope you will like this cute dress, wish you a good day!